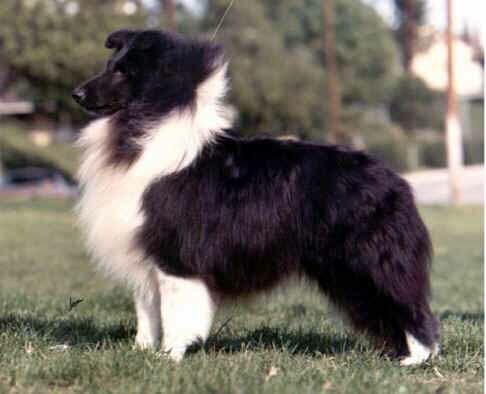 A/C Ch Harvest Hills Shoeshine Boy: Black and white dog, bred by C. Loesch from A/C Ch Banchory Deep Purple ROM ex Harvest Hill's Twilite Tear ROM and whelped June 8, 1977. Sire of 9 Champions plus 1 non-Champion Register of Merit. He is Line CHE Part IIc and Family 2 Part IV.